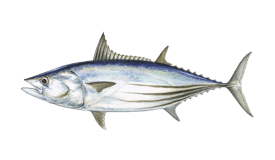 Albatros Charters are a boutique operation that caters and cares about the needs of every angler they have on board. 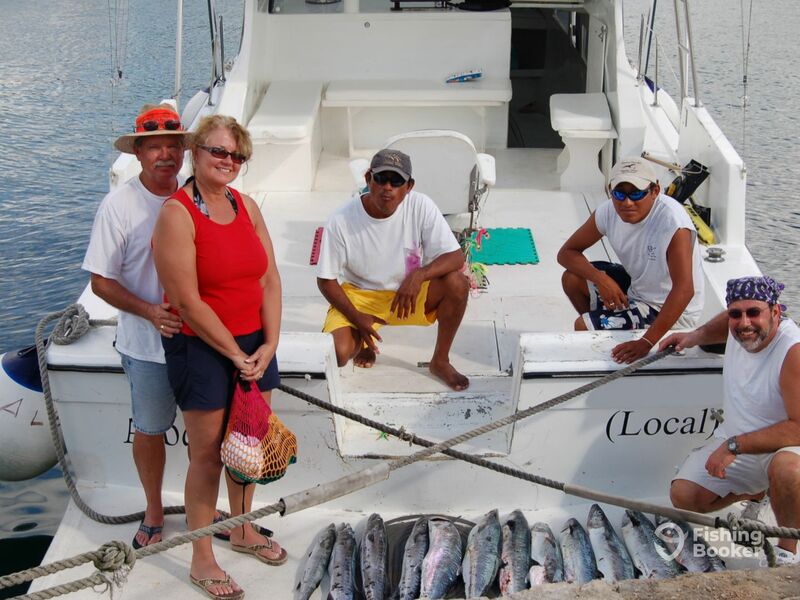 Mexico never looked so enticing and welcoming than when fishing in the pristine waters of San Miguel de Cozumel. 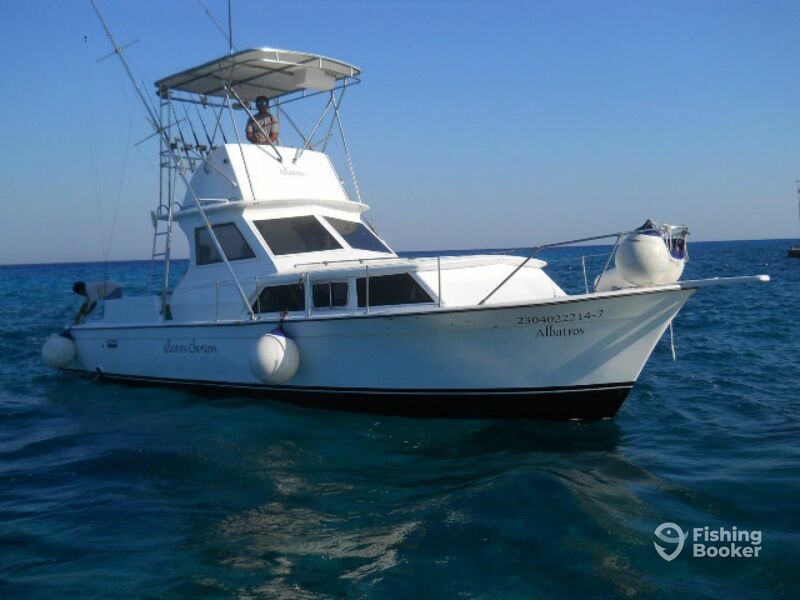 “Albatros”, your boat for the day, is a 42’ Chris Craft with the capacity to accommodate 6 anglers that can cast their lines without bumping elbows. The vessel has twin 250 HP Caterpillar engines to cut through the waves seamlessly and bring you to the most plentiful fishing grounds around. She is also fully rigged with excellent navigation gear to get you on the fish faster, a fighting chair to help you reel in that extra feisty catch, and a flybridge to take in the view while waiting for the fish to take the bait. You also have a private toilet on board, and even a small kitchen, should you need it. 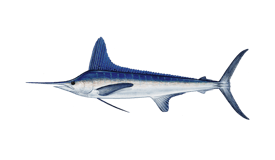 When you arrive to the hottest fishing spots, test your luck and lines by fishing for Mahi Mahi, Barracuda, Kingfish, Wahoo, and prized Sailfish and Marlin. 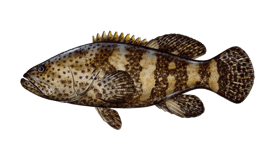 Different types of Tuna, as well as Goliath Grouper, are on the menu too, depending on the length of your trip and your preferences. 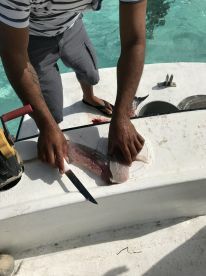 Heading out with the crew of the Albatros means you get the chance to fish, but also snorkel, as long as you ask the captain to prepare the equipment beforehand. Drinks like water, lemonade, and sodas are included in the price, as well as snacks and lunch on longer trips. You don’t have to worry about fishing gear either — rods, reels, and tackle are all a part of the trip package. 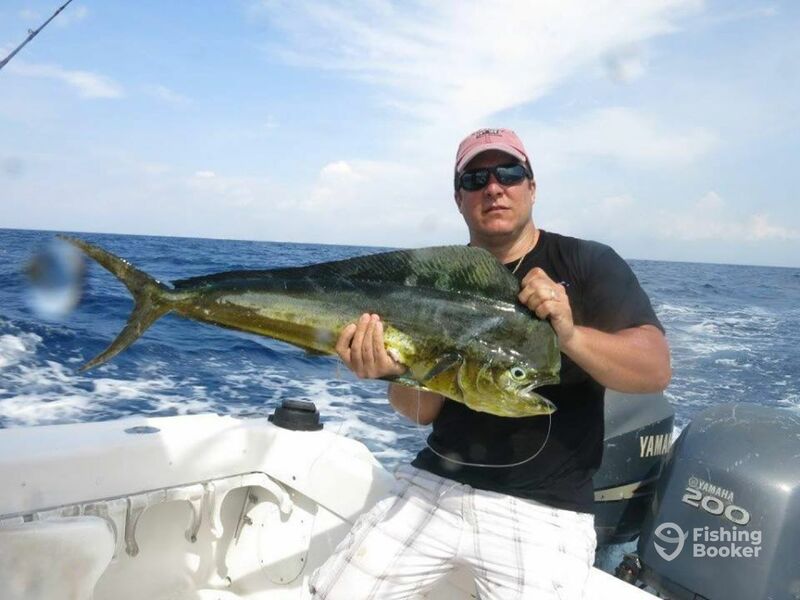 You’ll also have a first mate on board, and you can ask him anything fishing related, he will gladly be of service. If you’re satisfied with his work, gratuity is much appreciated. All you really need to do when you come aboard Albatros Charters is be ready to fish and have the best time — they’ll take care of everything else! When you spend 8 hours on the water, you better believe you will have the best time fishing. 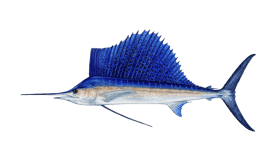 This fishing expedition can bring you the likes of Blue and Striped Marlin, as well as Sailfish since you get the chance to go to deeper waters. 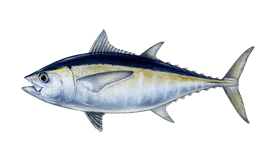 Skipjack and Blackfin Tuna could also be in your grasp, and let's not forget the classics like Mahi Mahi, Amberjack, Wahoo, and Barracuda. You get to choose the departure time. 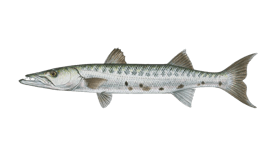 The 6-hour trips can be fully adjusted to your preferences, especially when it comes to what kind of fish you want to catch. 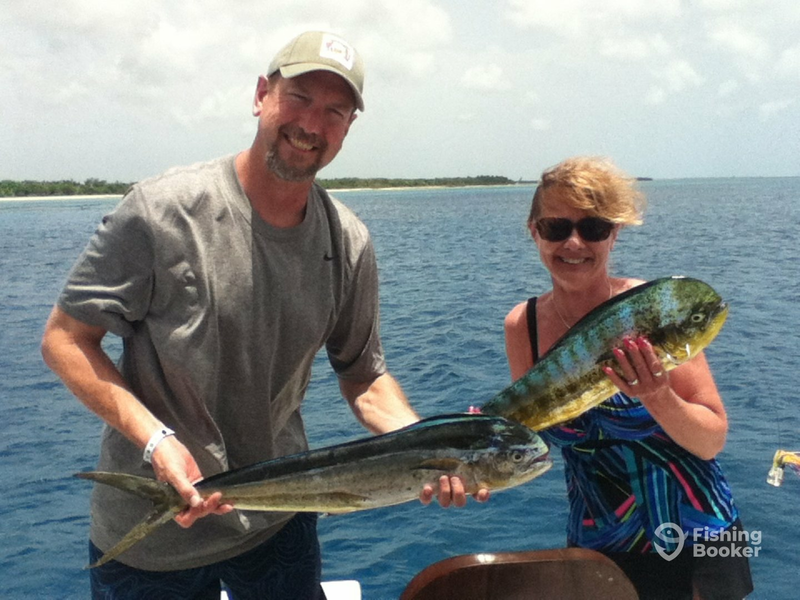 Maybe you're eager to test your luck with exotic Billfish, or you're looking for a new Mahi Mahi personal record, and sky blue waters of Cozumel are just the place to catch it. Departure times are flexible. Use 4 hours of your vacation to go fishing and reel in some delicious lunch for yourself and your family. 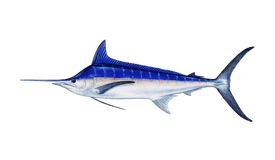 You will be chasing after Tuna, Mahi Mahi, Wahoo, Amberjack, and many more. You are welcome to suggest an alternative departure time if 8:30 AM is too early for you. 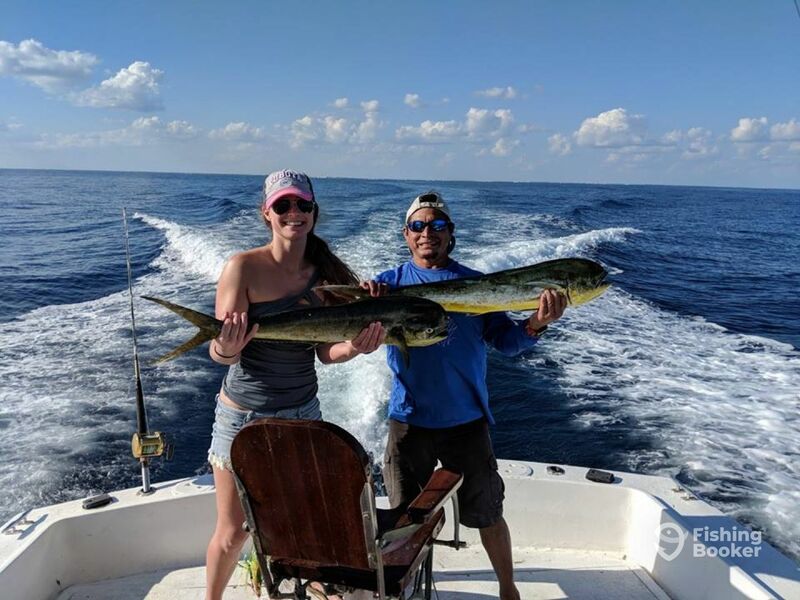 This trip lasts 4 hours, and you get the chance to hook a delicious Mahi Mahi, challenging Amberjack, even Barracuda and Wahoo could find their way to your line. Departure time is flexible, so if you want to move out a bit earlier or later, you are free to do so, just let your captain know. Chris Craft (Cruiser) построена в 1968, обновлена в 2014. Мотор – 2 250 л.с. Caterpilliar, максимальная крейсерная скорость – 25 узлов. Трансфер из отелей или пристаней в Сан-Мигель-де-Косумель доступен и включен в стоимость. 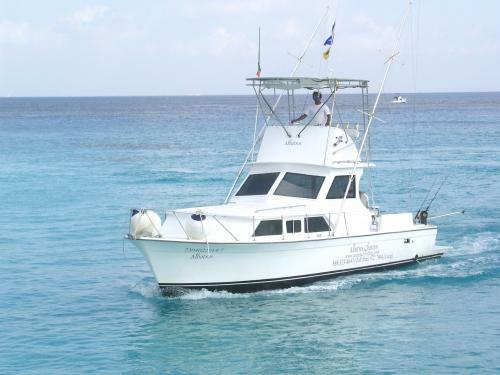 I've been running fishing charters out of San Miguel de Cozumel, Mexico for about 20 years. 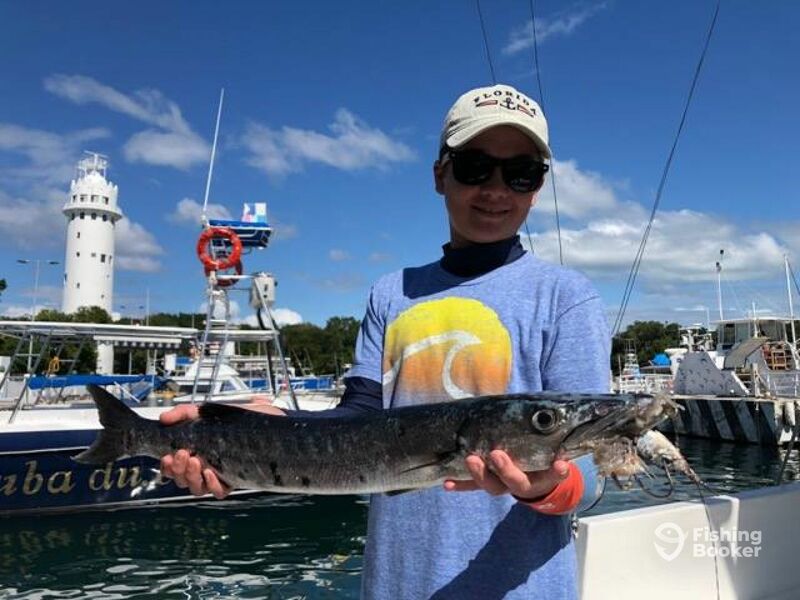 Not only do we have an excellent and professional crew to help you with everything while you're on board, but we also have a fleet outfitted for fishing that is both fun and bountiful at the same time. We also provide coverage from the sun, toilets, extra space to fish, Sirius satellite radio, as well as GPS to get you on the fish in the blink of an eye. We booked the full day for four but ended up being my wife and myself- she relaxed and caught some sun. 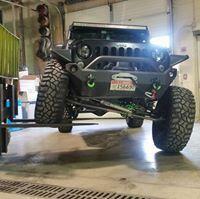 Crew was extremely professional and great to deal with. Didn’t catch anything huge but the captain made sure i got a couple of barracuda so that i wasn’t shut out. Clean ship, nice equiptment and a great homemade lunch. Thank you Larry for taking the day out with us. We hope to see you again! 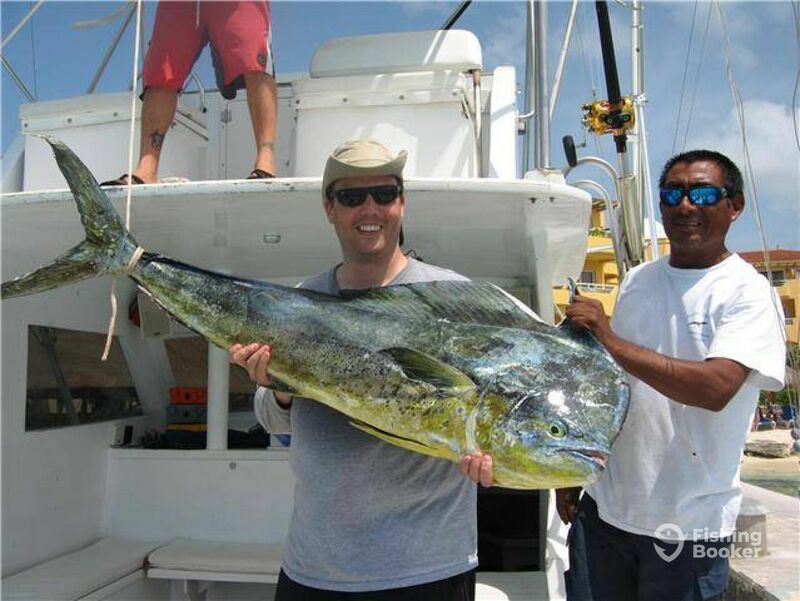 Fishing in Cozumel for bucket list. Some people believe Friday the 13th is an unlucky date. I picked that day to see how it would go. With the Albatross Crew it was my lucky day. We landed a nice sailfish as well as some others, but the sail fish was what I was After. Hard working crew made it happen. Thank you Steve. We have some nice photos of the sail and hope you got some nice shots as well. We hope to see you again! We are glad you had a good time. We understand you fed a shark as well! That happens. Great stories. Congratulations on your wedding and keep us in mind for next time! Fishing was a bit slow but we manage to catch 2 barracuda. Our captain and crew prep us an amazing ceviche with one of fish that just got. Fantastic day, delicious food and great crew. Fishing was a bit slow but we manage to catch 2 barracuda. 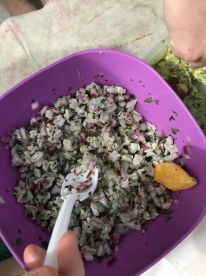 Our captain and crew prep us an amazing ceviche with one of fish that just got. Fantastic day, delicious food and great crew. Thank you Rhonda. We are glad that you enjoyed the trip with a few fish. We hope the last minute gluten free request was sufficient! Want to thank you for the repeat business. Last year the boat was completely refiberglassed and within the first couple months we could tell the work done was shoddy. WE are planning to redo it again, but we need time for that (not high fishing season). New/Used/Rebuilt engines were put on this boat; one 18 April and the other about 6 months prior. It’s possible we were still working out some small issues. The fuel we get here in Mexico is not always the greatest. Our next plan is to remove the fuel tanks to clean them out. Again, not in high season and we promise you, we do put money back into the boat. We hope that you think so for your next trip!